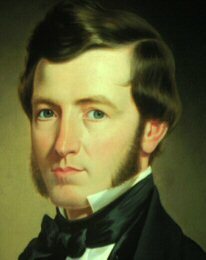 William Billings was born in Boston, and is largely regarded as America’s first choral composer. He was dedicated to the art of singing, and listed as “singing master” in the Boston city directory until 1798. Billings lived during a violent period of America’s history. The Revolution began when he was 29-years old, and lasted until after his death, nearly half of his life. Billings’ Lamentation Over Boston bases its text on Psalm 137 (below), drawing parallels between the Israelites’ lamentation over the destruction of Jerusalem and the unrest of his native Boston. It is a powerful and passionate piece of American history. Below is a performance by the Minneapolis-based group, Cantus. We are very pleased that one of our former members, Chris Foss, sings, arranges, and programs music for that stunning group of singers. 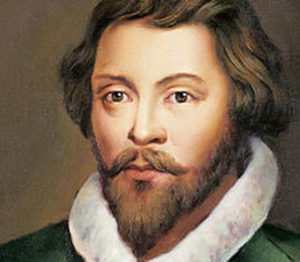 William Byrd was an English Renaissance composer, writing during the reign of Queen Elizabeth I. 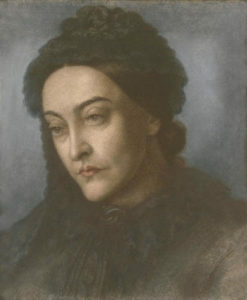 Over the years movements of his Mass for Four Voices have become a staple in the Dulces Voces repertoire. We have rarely performed the entire work, so this concert will be a treat for us. While Byrd composed during the Elizabethan period, the mass itself has characteristics of an earlier Tudor style. Some scholars assert the Mass for Four Voices was modeled after John Taverner’s (c. 1490 – 1545) Mean Mass. Byrd’s Mass peppers semi-choir sections throughout the work. Those sections are delicate confections that are both satisfying to sing and hear. Byrd composed three settings of the Ordinary of the Mass, for four, three, and five voices. The editions were undated, did not name the printer, and were thin to allow them to be concealed. Bibliographic analysis suggests these works were publish in the 1590s, a time when many Catholics feared for their lives, and merely possessing the books would be dangerous. Given the history, it is possible Byrd’s mass was written in an earlier style to further conceal the origin of the composition. The performance below (not Dulces Voces) is the Gloria movement of the Mass for Four Voices. 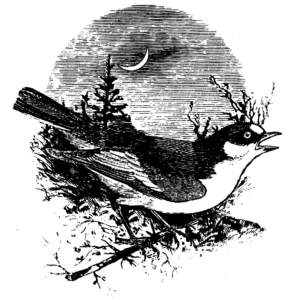 Evening Song is a concert of vocal music, performed by the “sweet voices” of Dulces Voces. This concert features the William Byrd Mass for Four Voices, and includes music by William Billings and Zoltan Kodaly. Freewill offerings are welcomed. We look forward to seeing you there! We believe in one God, the Father Almighty, Maker of heaven and earth, and of all things visible and invisible. And in one Lord Jesus Christ, the only-begotten Son of God, begotten of the Father before all worlds, Light of Light, very God of very God, begotten, not made, being of one substance with the Father: by whom all things were made; who for us men, and for our salvation, came down from heaven, and was incarnate by the Holy Ghost of the Virgin Mary, and was made man. He was crucified for us under Pontius Pilate, and suffered, and was buried, and the third day he rose again, according to the Scriptures, and ascended into heaven, and sitteth at the right hand of the Father; from thence he shall come again, with glory, to judge the living and the dead; whose kingdom shall have no end; and in the Holy Ghost, the Lord and Giver of life, who proceedeth from the Father, who with the Father and the Son together is worshiped and glorified, who spake by the prophets; and in one holy catholic and apostolic Church. We acknowledge one baptism for the remission of sins. We look for the resurrection of the dead, and the life of the world to come. Amen. beneath the night sky his grief. This entry was posted in Concerts and tagged Evening Song.